As a retailer, you place considerable priority on enhancing the customer experience. No matter the shopping destination, modern consumers demand a reliable cellular and data signal to download coupons, access apps, send text messages and make calls. While an enhanced -- and secure -- connection can positively impact the shopping experience, it can also help protect against credit card fraud. With the migration toward chip cards moving full-steam ahead, now is a great time to enhance fraud protection measures in your store. While chip cards currently offer more protection to consumers, hackers are racing against the clock to take advantage of the vulnerabilities in the previously popular magnetic strip technology. Once the final numbers are tallied, hacked credit card fraud will end up costing U.S. consumers $4 billion in 2016. Yet, studies show an additional $10 billion in fraud will be committed between now and 2020 as hackers cash in on stolen credit card data from magnetic strip cards. As a retailer, you can take steps to combat credit card fraud by boosting your in-store cellular signal with a secure cell phone signal booster system. Providing customers in-store Wi-Fi access enhances the customer experience, but without the proper precautions it can also create security concerns, especially in retail settings without designated employee and customer networks or proper firewalls. These unsecured in-store Wi-Fi networks can expose your business to spyware and viruses, compromise customer credit card data, and risk financial loss and a damaged reputation. Your point of sale is perhaps the most vulnerable area of your store. While many businesses connect their POS to the internet, others using tablets connect via a cellular connection and require reliable connectivity to maintain efficient operations. Even if your business uses Wi-Fi connectivity for POS, a cellular signal booster system can ensure reliable connectivity asa cellular failover solution in the event your internet connection is lost. An insecure internet connection can hinder credit card validation and increase fraud rates. Installing a cellular backup can both alleviate security concerns and reduce costs over solely using a fixed line connection. 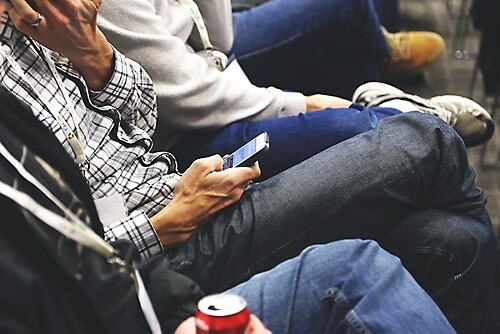 With an improved cellular signal inside your store, your customers will enjoy an enhanced retail experience with easy access to digital coupons and the ability to connect with friends for purchasing advice. Wireless cellular technology can also speed up the checkout line and protect against the dangers of fraud.